BIRTH IS A BEGINNING - Helen Louise (Byrd) Wactor-Smith was born on July 21, 1922 in Elizabeth, New Jersey, daughter of the late Alfred Byrd, Sr. and Emma Wright Byrd of Westfield, New Jersey. LIFE IS A JOURNEY - She attended public schools in Westfield, New Jersey, and Baltimore, Maryland where Helen graduated from Douglas High School. She decided to move to New Jersey and graduated from Saunders Airline Training School in Newark. In 1941 during World War II, she worked at Eastern Aircraft (now General Motors) to manufacture airplanes. She was also a Dental Assistant to Dr. James Byrd of Westfield. In the 1930s and early 1940s, weekends were spent at the Shady Rest Country Club in Scotch Plains. Helen knew many of the great talents such as Duke Ellington, Sweethearts of Rhythm, Count Bessie and many others. She was an excellent dancer who was associated with big bands at the U.S.O. and Camp Kilmer. Helen became the first black woman employed as a Clerk at the Union County Board of Elections in Elizabeth and retired after thirteen years of service on October 1, 1987. While raising a family with her first husband, Ivory Wactor, Jr. “Curtis” of Roselle, New Jersey, Helen did numerous community service and outstanding church work. 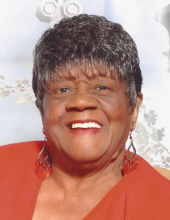 She was a dedicated member of First Baptist Church for many years where she served in numerous ministries. She served as Past President of the Young Women’s Club, Past Food Procurement Chairwoman, Past Secretary of the Pastor’s Aide Club, Secretary of the Planning Board of Building a New First Baptist Church, Assistant of the Vacation Bible School, Secretary of the Emergency Choir for over ten years, Vice President of the Emergency Choir and Past President of the Emergency Choir in 1987. Helen was a Co-founder and Secretary of First Baptist Church Outreach Committee, directed by the late Rev. Layshell Layton from 1993 - 2000. In the 1950s - 1960s, Helen was well sought after her role as Mistress of Ceremonies. She planned a lot of graduation parties, showers, weddings and fashion shows at the Landmark Inn on Route 1 & 9. She was a Coordinator of the religious play, “Killer Crack.” In 1952, Helen wrote resolutions and obituaries for programs until the printed ones were available. In 1954, Rev. S. E. Shell appointed her as Condolence Coordinator and this honor lasted for over 45 years. She received the Baptism of the Holy Ghost at PTL in Charlotte, North Carolina and answered the telephones on TV Heritage USA under the leadership of Evangelist Jim Baker and First Lady Tammy Baker. Helen worked with the late Dr. Melvin C. Walker, the Gospel Ambassador of WNJR and Jacob Javits Center in New York. Also, she did Registration for Faith Network in Caldwell, New Jersey and it was directed by Dr. Mitch Medina Restoration “93” with Bishop T. D. Jakes at the Meadowlands Arena. Helen also worked for several luncheons at La Guardia Airport. She was a member of Morris Cerullo School of Ministry in New York where she helped in some ministries in New Jersey, Chicago, Illinois, Orlando, Florida and Benny Hinn’s Orlando Christian Center. She graduated from Everlasting Truth Bible Institute at Mt. Calvary C. O. G. in Elizabeth in 1989 under the direction of Bishop Samuel Leak. Helen was very passionate about local politics and served in many capacities as Past Secretary of the Union County Republican Executive Committee, Past Secretary of United Republican Club of Union County, Vice President of Afro American Republican Club, Member of Roselle Republican Club, Past Vice Chairperson of Roselle Republican Municipal Committee and Past Secretary of Progressive Republican Club of Roselle. She also was a Coordinator for Congressman Matthew J. Rinaldo of Union during his entire career. She had the honor to meet President Richard Nixon and President George Bush, Sr. where she attended the New Jersey Affairs, Inaugurations and Inaugural balls. She provided leadership with the Girl and Boy Scout Clubs as First President of the Mother’s Auxiliary Boy Scouts Troop #57, Den Mother in the Club Pack #55 and Publicity Chairman of Troop #55, and Leader of Girl Scouts Troop #30 in Roselle. The Wactor family was honored for forty years of scouting service in the community. Helen also served the community as Past PTA President at Lincoln School in Roselle for two terms; Past Vice President of Roselle PTA Council; Advisor and Co-Organizer of the Roselle Drill Team; Past Publicity Chairperson of the Booster Club at Abraham Clark High School; former Member of Roselle Citizens Committee for Better Education; Vice Chairperson of Neighborhood Preservation Program in Roselle; Member of NAACP Urban League; Volunteer of the Share Food Program at Bibleway Deliverance Center in Roselle; Secretary of Community Relations Tribute to Afro American Women; and Tutor of the Literacy Volunteers of America. On September 30, 2000, Helen married Robert Smith, Sr. of Bushkill, Pennsylvania. After her husband passed away, she moved to Perth Amboy, New Jersey but she always kept her membership with First Baptist Church. On July 21, 2012, Helen celebrated her 90th birthday at the Terrace Ballroom in Newark, New Jersey where there were over five hundred guests in attendance. She stayed on the dance floor most of the night. During the festivities, she was honored with a “Certificate of Acknowledgement” by then former President Barack Obama. On Tuesday, November 13, 2018, Helen took her Holy Ghost flight to be with the Lord forever. She was predeceased by her first husband, Ivory Wactor, Jr.; second husband, Robert Smith, Sr.; son, John Gerald Wactor; sister, Loretta Byrd; and brother, Darryl A. Byrd. Helen Louise Wactor-Smith leaves to cherish precious memories, her daughter, Diane C. Wactor; son, Anthony “Tony” Wactor; step-daughter, Linda Clark; grandchildren: Dawn Hawkins, DeLenna “Lena” Wactor, Dennis Wactor (Mitzi), Jermaine Wactor, Sherri Wactor and DiJohn Wactor (Nicole); great-grandchildren; Robert, Yasmina, Dejanay, Jihad, Rafiq, Jalaan, Jatice, Dennis, Bianca, Kayla, Anthony, Jaydah, Karnell, Khassaun, Starr, Javon, Niquan and Jalen; great-great-grandchildren: Quran, Yasir, Zaiya, Aubrey, Tysheim, Kyon, Cali and Messiah; brother-in-law, Vernice Myers, Sr.; goddaughter, Adrienne Paul; and a host of nieces, nephews, dear relatives and friends. To send flowers or a remembrance gift to the family of Helen Louise Wactor-Smith, please visit our Tribute Store. The Interment will be held on Friday, November 23, 2018 at 12:30 pm. "Email Address" would like to share the life celebration of Helen Louise Wactor-Smith. Click on the "link" to go to share a favorite memory or leave a condolence message for the family.